Jumia, one of Nigeria’s leading online shopping destination, now offers next day delivery for fashion items ordered from Lagos. Order shoes, bags, clothing, jewellery, and wedding apparels and accessories today at Jumia Fashion Store from Lagos and have it delivered by tomorrow. Just place your order before 6pm today and Jumia will deliver before 6pm tomorrow. Having to wait for days for the products you ordered online is one of the downsides of shopping online, but with next day delivery for fashion items, Jumia is changing that. Just order now and get it by tomorrow. 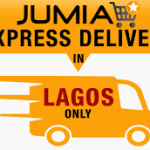 Customers in Lagos can now get fashion items ordered at Jumia within 24 hours. Jumia has the largest largest fashion collection in Nigeria with over 100,000 fashion items covering shoes, shirts, clothing, bags, wedding apparels, and lots of other fashion items. “Our Aim is to continue to increase our productivity and give customers the best shopping experience, With Jumia offering 24 hours delivery customers can look forward to a better shopping experience and getting their products faster from Jumia. These delivery options will soon extend across Nigeria but for now we are starting off in Lagos”. 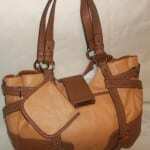 The fashion items can also be delivered free for orders above 10,000 Naira. Customers can also pay cash on delivery. Order Now. Discover the latest men’s and women’s clothing on Jumia. Pick your choice and have them delivered next day to your Address in Lagos. This is one of the ways Jumia is making shopping online better for everyone.